On Monday 9th July I believed I had obtained an indication from the Conservative Police Minister that the Government would look favourably on a bid from Suffolk Police for money to fund specific additional actions to deal with drug gang and knife crime in our County – and especially in Ipswich. Since then, news has broken about the reduction of PCSOs (Police Community Support Officers) as a result of cuts in Police budget. The proposed cuts by Suffolk Constabulary would result in a 78% reduction in the number of PCSOs in the county since 2010. The previous Labour government introduced PCSOs to address the lack of visible policing in our neighbourhoods, and to meet the complaints of local residents that much local crime was caused by a complete lack of local police presence. I believe that initiative was spectacularly successful, and right up to a few years ago crime in our town went down and down and down. Now it is rising again, and violent crime is rising fastest. Cutting Suffolk’s PCSOs not only reduces the visible police presence in our local communities, it also reduces the ability to prevent crime and protect the public. However much the Conservative Police & Crime Commissioner tries to dress this up as a “restructuring”, it is in fact a response to Conservative government cuts. PCSO posts in Suffolk have already been reduced from 173 posts in 2010 to 107 posts in 2016 and the current plan is to reduce the number to 48 next year. It is quite possible we will only end up with 38 PCSOs across the whole County, as the Police are not even able to pay for 48 PCSOs themselves, and are hoping to make up the shortfall through match-funding by town and parish councils etc. In Ipswich, where the need for visible policing is greatest, the number of available PCSOs will be seriously reduced and they will not be allowed to patrol in the evening when the need is greatest. That doesn’t alter the fact that I am pleased and proud we managed to meet the Minister. I’m still hopeful of getting additional policing grant for Suffolk. The basic underlying finance is woefully inadequate and is getting worse, which is why Suffolk Police have been forced to do this “restructuring”. It highlights the need for the Government to take Police cuts seriously, particularly in Ipswich. But anything we can get over and above that inadequate response has to be a bonus, and I will work with the Police to put in the best possible bid. This situation with the Police illustrates the two separate responsibilities of your MP – I will do whatever I can to get the best for Ipswich, working with the Conservative Suffolk County Council, the Conservative Police & Crime Commissioner and the Conservative Government, just as much as the Labour-run Ipswich Borough Council, to achieve the best results we can locally. 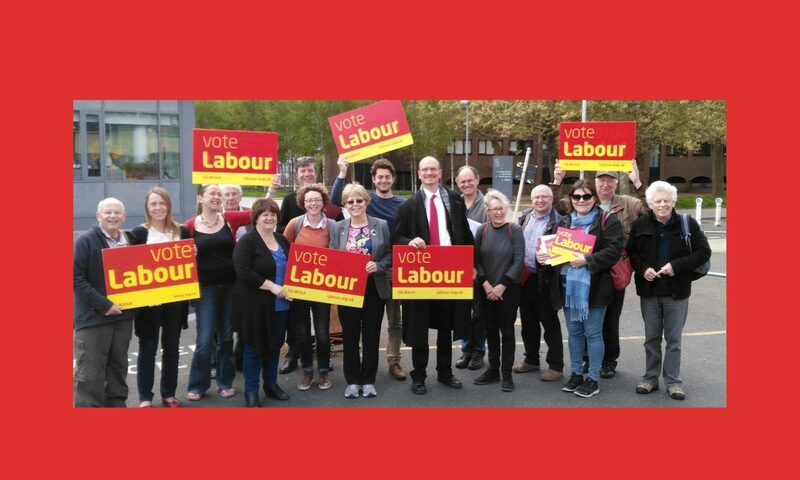 But at the same time, I will join my Labour colleagues in Parliament in fighting for a better settlement for our whole country, and by extension, for Ipswich. We don’t just want a bigger slice of the Police funding cake for Ipswich – we actually need a bigger cake. Meanwhile, it continues to be almost impossible to secure a mental health bed for acute cases in Suffolk, and many people have to travel to other counties, where they are inevitably more separated from their friends and family than they would be in Ipswich. It continues to be increasingly difficult for parents with children who have severe learning difficulties and behavioural problems to gain education places in our town. It continues to be more and more difficult for people with disabilities to claim the benefits they need to enable them to live decent and independent lives. And despite the building programme of Ipswich Borough Council, including the provision of a whole new homeless families unit, the government is still making it increasingly difficult for our town to invest in new council housing. In that context, pushing for a type of Brexit which has no guarantees for trade or manufacturing, no protection for food or agriculture, and no provision for enabling us to sell services such as Insurance and IT software – both of which are now vital to the Ipswich economy – is the height of irresponsibility. Theresa May has now clearly caved in to her Tory hard-liners – even if the Government manages to limp on in its present form, their failed austerity programme can only get worse and worse.